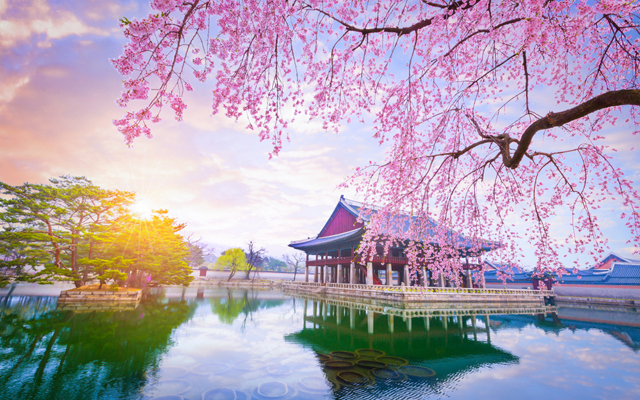 While Japan remains the top choice for travellers in Asia-Pacific, South Korea and Vietnam are rising fast as preferred destinations, according to Skyscanner data for eight of the region’s markets. Regional travel dominates, with London the only destination outside APAC to make Sykscanner’s top 10 list. Skyscanner’s APAC Travel Trends report revealed that Tokyo, Osaka and Okinawa all made the top 10. In South Korea and Vietnam, the two fastest emerging destinations in the report’s top 10 ranking, Busan, Jeju and Nha Trang show the most growth compared against the major hubs of Seoul and Ho Chi Minh City. With the Korea Tourism Organisation (KTO) revealing that Japan, Vietnam, and Thailand contribute the highest number of travellers to South Korea, Skyscanner said its data shows significant growth in flight searches from the same markets. Vietnam, on the other hand, attracts a different crowd. 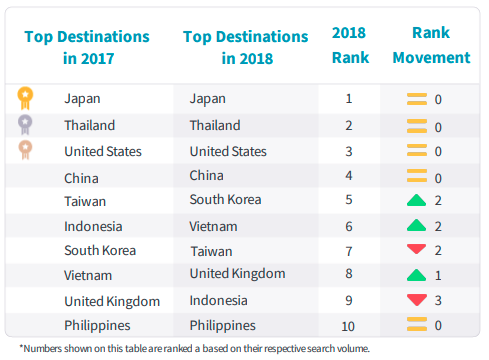 Skyscanner also observed a trend to The Vietnam Tourism Board figures that show the largest numbers of visitors hail from South Korea, China, Japan and Taiwan. Turkey showed the largest growth in popularity outside APAC, “most likely due to the market’s cultural attractions, entertainment options and a beneficial exchange rate drawing in visitors”, Skyscanner said. Skyscanner also observed mobile use increasing by up to 3.5%. making bookings closer to departure. With numerous travel sales, promotions and airline deals, decision making is becoming more complex for travellers, Skyscanner said. The report looks at data from the period of October 2016 to September 2018 and covers eight APAC markets namely Australia, Hong Kong, Japan, New Zealand, Singapore, South Korea, Taiwan and Thailand.